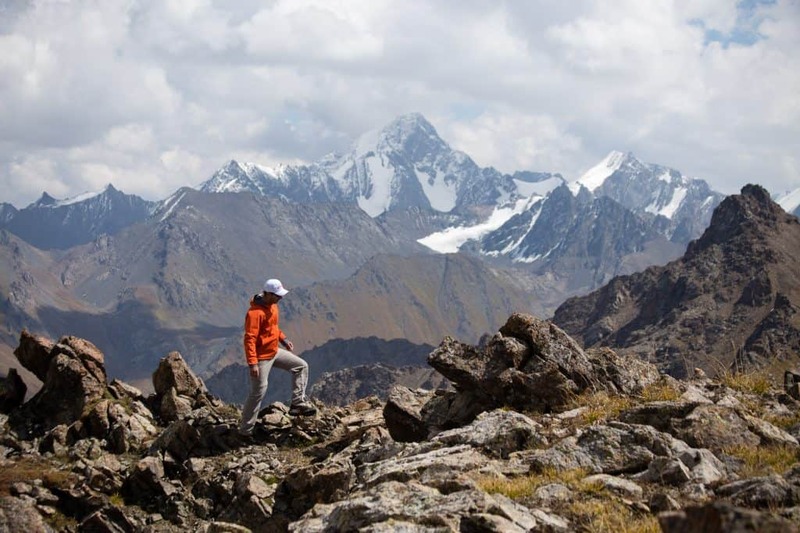 Karakol may be best known for trekking, but there are plenty of other ways to experience the stunning natural landscapes that are just on your doorstep when you choose Karakol as your adventure base in Kyrgyzstan. Gain a newfound appreciation for the rugged mountain trails when you navigate on two wheels via a mountain-biking tour. Or take your understanding of the Kyrgyz mountain ranges to new heights — literally — when you paraglide over the stunning mountainscape. If you’ve always dreamt of galloping across the jailoo (high summer pastures), then you’ll love the range of half- and multi-day treks available on horseback. Take a breath, step out of your comfort zone, and discover firsthand why Karakol is the adventure capital of Central Asia. The only thing better than traversing the high peaks on your own two feet may be doing it on horseback! The Kyrgyz people are renowned for their horsemanship, and a horse trek offers a unique way to enjoy the country's culture and landscape. Excited to set out on horseback? 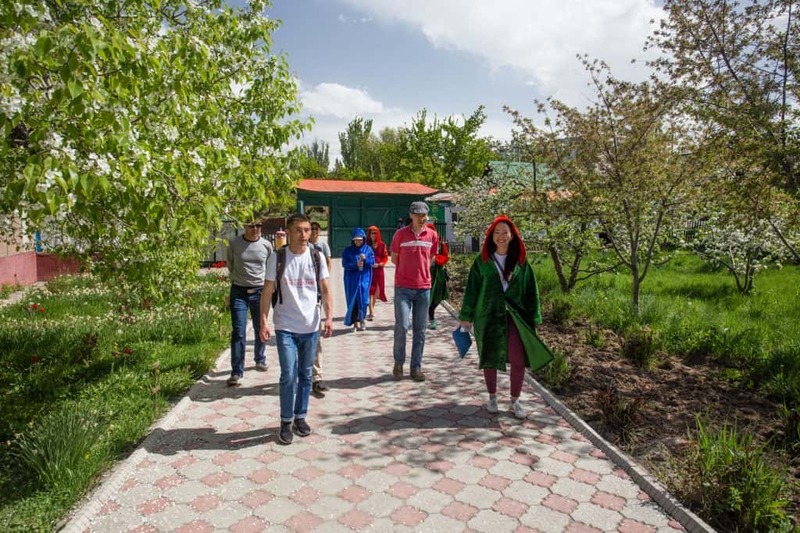 Contact the Destination Karakol Visitor Center for local horse trekking options, or check out local tour operators, like Ecotrek and CBT Karakol. Bulak Say Horseback and Trekking also offers treks lasting from a few hours to ten days long. And all horse treks can include yurt stays, hot spring visits, and accompanying chefs and porters. Located just an hour from Karakol, Jyrgalan Valley is a beautiful rural village also offering a number of horse treks throughout the summer — treks can visit a number of stunning alpine lakes, peaks, and passes. Karakol certainly does not lack physical beauty, just look to the pristine alpine lakes, soaring mountain peaks, flowering meadows, and big blue skies. 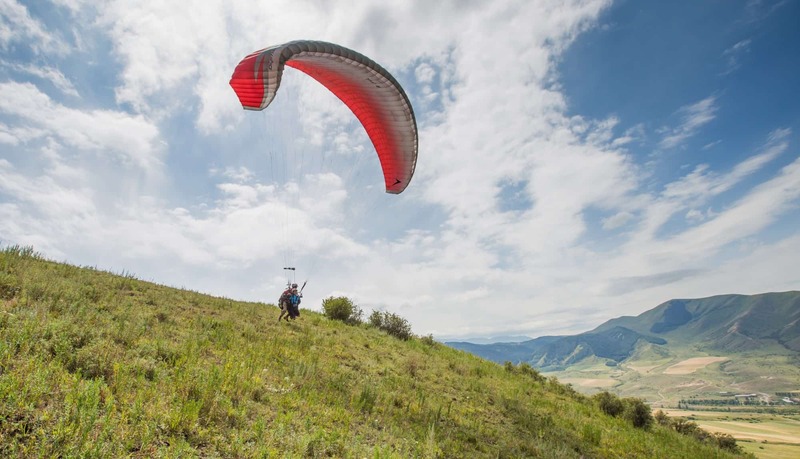 Paragliding in Karakol offers travelers a unique chance to witness diverse landscape from a birds-eye view. Designed for two people, a pilot and a passenger, tandem paragliding is the perfect adventure activity for anyone hoping for beautiful views without the work of trekking to the top of a mountain peak. Your Sky Trial pilot will control the paraglider from behind, allowing you a hands-free, front-facing view of the landscape. This just may be the greatest selfie-opportunity in all of Kyrgyzstan! Where: During the summer months, flights take place 15 km from Karakol near the village of Teploklyuchenka (Ak-Suu). 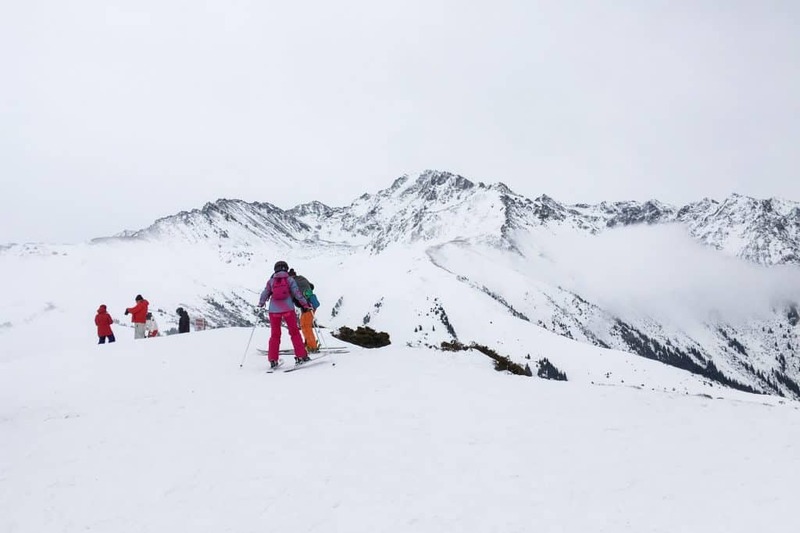 In winter, flights are held at the ski resort Karakol, which is just 7 km from Karakol. Weight Restrictions: Paragliding passengers must weigh a minimum of 50 kg and cannot exceed 100 kg. Escape the city of Karakol and spend your day paddling in Przhevalsk Bay, on lake Issyk Kul. Set out to explore the Pearl of Kyrgyzstan, enjoying spectacular views of the Tian-Shan Mountains that surround the lake. 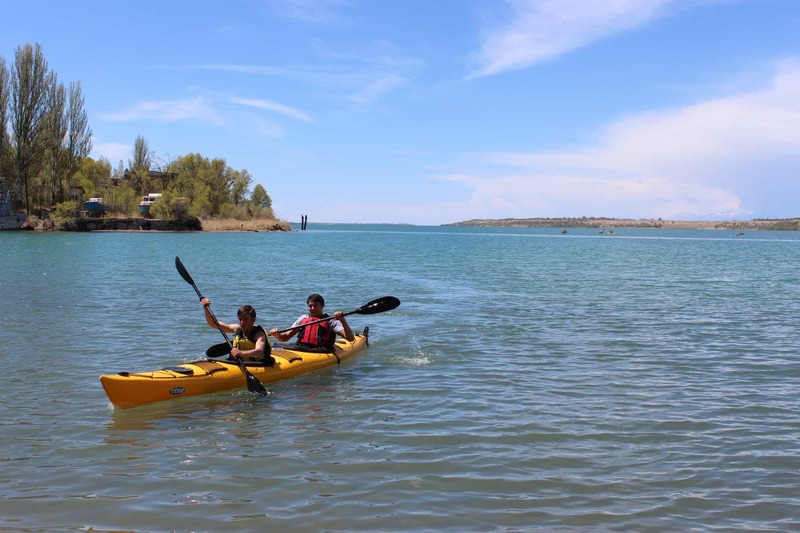 Issyk-Kul Kayaking offers the simplest and safest route along the coast of Przhevalsk Bay. The tour is for maximum 8 travelers and lasts 5 hours. There are single and double kayaks available. Price: 1500 KGS per person (for one day 9 Am - 5 Pm); 1000 KGS per person (half day 12 Pm - 5 Pm) Prices include transportation. Where: During the summer months, kayak tours take place 15 km from Karakol near the village of Pristan (Przhevalsk). Age Restrictions: The activity is good for adults and children older than 12 years. Note: Half of the income from our kayaking tours goes to the local Youth Volunteer Organisation “Leadership”, which owns two of our six boats. So by paddling with us, you support social projects and the promotion of volunteerism among Karakol youth! Please find out more about “Leadership” online at leadership.kg and facebook.com/YVOLeadership. To learn more about mountain biking trails around Karakol and where to rent mountain bikes, stop by the Destination Karakol Visitor Center. You can also check out all the new biking trails in and around Karakol in this catalog of mountain biking trails in Kyrgyzstan.